Advances in Cell and Molecular Diagnostics brings the scientific advances in the translation and validation of cellular and molecular discoveries in medicine into the clinical diagnostic setting. 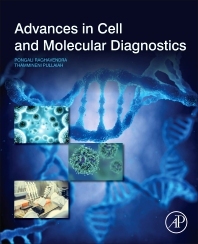 It enumerates the description and application of technological advances in the field of cellular and molecular diagnostic medicine, providing an overview of specialized fields, such as biomarker, genetic marker, screening, DNA-profiling, NGS, cytogenetics, transcriptome, cancer biomarkers, prostate specific antigen, and biomarker toxicologies. In addition, it presents novel discoveries and clinical pathologic correlations, including studies in oncology, infectious diseases, inherited diseases, predisposition to disease, and the description or polymorphisms linked to disease states. This book is a valuable resource for oncologists, practitioners and several members of the biomedical field who are interested in understanding how to apply cutting-edge technologies into diagnostics and healthcare. Dr. Raghavendra PB is currently affiliated with School of Regenerative Medicine, Manipal University Bangalore. He has served as Professor and Head of School of Biotechnology at REVA University. He also serves as Director for School of Chemical and Biological Sciences, REVA University. He got his Bachelor of Science degree in Biochemistry, Master’s Degree in Biotechnology from Sri Krishnadevaraya University. 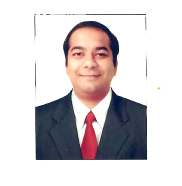 He holds Doctoral degree from CDFD, Hyderabad/ Sri Krishnadevaraya University. He has Postdoctoral degrees from Robarts Research Institute, Ontario, Canada and Michigan State University, USA with substantial teaching and research contributions. He visited European countries on various fellowships. He has long standing experience and is actively engaged for service in teaching and research activities. He is visiting Professor and technology consultant for many universities and biotechnology companies. He has served as committee member for the scientific session discussions at various platforms. He has delivered lectures both at national and international levels. He holds many awards for his scientific contributions. He has been guiding couple of research students for their PhD degree. He is reviewer for the International journals. He is author of a number of articles and book chapters on various aspects of Life science, Medical sciences and Biotechnology published in International journals and other scientific publications. 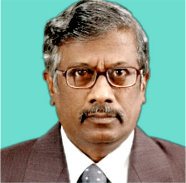 Prof. T. Pullaiah obtained his M. Sc. (1973) and Ph. D. (1976) degrees in Botany from Andhra University. He was a Post-doctoral Fellow at Moscow State University, Russia, during 1976-1978. He travelled widely in Europe and visited Universities and Botanic Gardens in about 17 countries. He joined Sri Krishnadevaraya University as Lecturer (1979) and became Professor (1993). He held several positions in the University as Dean, Faculty of Life Sciences; Head, Department of Botany; Chairman, Board of Studies in Botany; Head, Department of Sericulture; Co-ordinator and Chairman, Board of Studies in Biotechnology; Principal, Sri K. University College. He retired from active Service in 2011 and was selected by UGC as UGC-BSR Faculty Fellow in the Department of Botany, Sri Krishnadevaraya University. He has published 63 books, 320 research papers and 35 popular articles. His books include Encyclopaedia of World Medicinal Plants (5 volumes), Flora of Andhra Pradesh (5 volumes), Biodiversity in India (8 volumes), Flora of Eastern Ghats (4 volumes), Flora of Telangana (3 volumes), Encyclopaedia of Herbal Antioxidants (3 volumes) etc. Apple Academic Press, Canada is bringing out 5 volume edited book on Ethnobotany of India, and they are being distributed by CRC Press. He was the Principal-Investigator of 20 major Research Projects totaling more than a Crore of Rupees funded by DBT, DST, CSIR, UGC, BSI, WWF, GCC etc. Under his guidance, 54 students obtained their Ph. D. degrees and 34 students their M. Phil. Degrees. He is the recipient of Best Teacher Award from the Government of Andhra Pradesh, Prof. P. Maheshwari Gold Medal and Dr. G.Panigrahi Memorial Award of Indian Botanical Society and Prof. Y. D. Tiagi Gold Medal of the Indian Association for Angiosperm Taxonomy. He was President of Indian Association for Angiosperm Taxonomy (2013) and President of the Indian Botanical Society (2014). He was a member of Species Survival Commission of International Union for Conservation of Nature and Natural Resources (IUCN).